Learn about best practices in data quality, data modernization and information governance in our intuitive eBooks. Directly link activities in data to business outcomes. Compliance with the GDPR can yield significant business benefits. 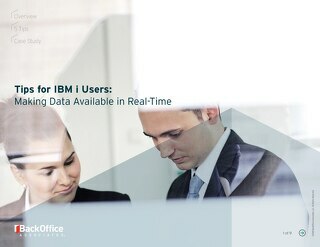 Ensure readily available IBM i data for BI and reports without degrading performance.